Last year when I saw his new video, for the first time on Facebook, I almost cried. His style was totally original, and technically hard at the same time. 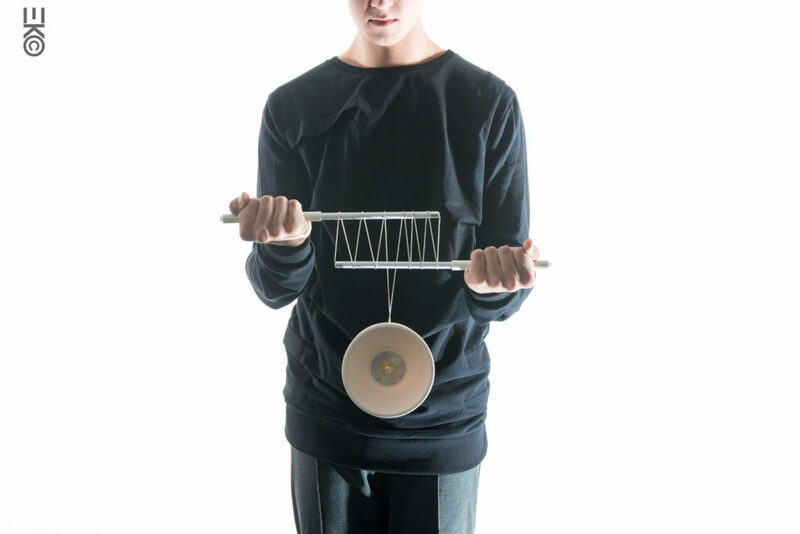 In diabolo scene these days, the general technique level is skyrocketing (there are some players who spin 5 diabolos at a time, on one string, can you believe that? 10 years ago, there were only a few who could do 3. ), but honestly speaking, the variety in style is not that much diversified. Now this video by Guillaume, a talented French diabolist studying at circus school DOCH is one of the breakthroughs. PONTE interviewed him by e-mail. 1. How long have you been diabolo-ing in your life? 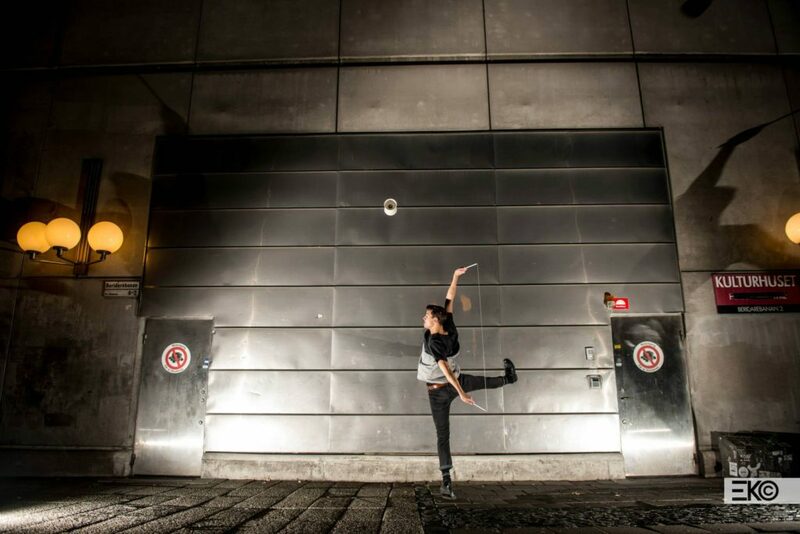 I have been doing diabolo for 12 years now. 2. What grade are you in DOCH, and when are you supposed to be graduating? I am in my third year, and graduate in June 2016. 3. About how long do you practice/research a day, and how do you proceed the research mainly? Do you take notes in practice for example? I work by periods, of intensive work and no work at all. So I could practice sometimes many hours a day for a while and then nothing at all for another while. When I want to come up with new material, either I improvise or I work with concepts. When it’s the case, I am starting with a general idea or focus and then I just explore what feels obvious or natural to me. I rarely take notes in the practice but I do take some afterwards, If I feel I need to. 4. Did you learn dance at DOCH, or you just trained it by yourself? We do have the occasion to learn dance at school but I mainly do it by myself. In that case, I really avoid to force myself when it comes to practice and I don’t have any method. I often just repeat the same moves so many times because I like it and it just evolves with the time of the repetition. 5. Where does 4(or 2,) sticks shape making idea come from? It came from being around dancers. More concretely, a friend of mine, Niki Blomberg, taught me Tutting and the first stick shapes were translated from a choreography I learned. Then it came naturally to me to add extra sticks. It was an obvious way to make it more visual and to give it more possibilities. That was the starting point, but since I explore that, I stopped learning more Tutting stuff because I don’t want to be influenced too much in that direction so I rather explore with the sticks, I already know the basics anyways. Another close field is the contact juggling with sticks where many techniques already exist such as anti spins, isolations etc. But again I rather try to focus on the things that only my props can do. 6. What kind of music do you listen to while you practice, or you don’t listen to any? I can listen to many genres of musics. I especially like house music and ambient because those genres often evolves progressively. I like minimal music and by that I mean music that tends not to have so many different sounds and that stick with few of them only. 7. Are you planning to come to the next EJC2016? Probably yes, I would like to! ・Guillaume Karpowicz : French diabolist. He’s tall. (At least for a Japanese’s eyes) He once showed me drinking a bottle of wine, doing 3 diabolos in one hand.